Narritjin Maymurru is one of the best-known and most prolific Yirrkala bark-painting artists. 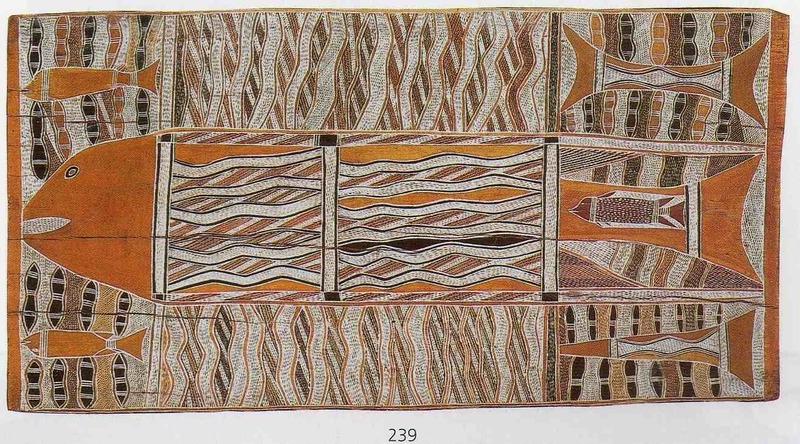 Examples of his bark painting are in collections throughout the world. The aim of this article is to assist readers in identifying if their bark painting is by Narritjin Maymurru. It compares examples of his work. 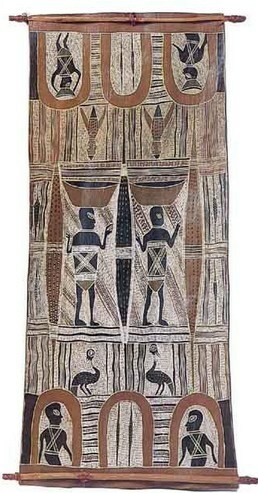 If you have a Narritjin Maymurru bark painting to sell please contact me. If you want to know what your Narritjin Maymurru painting is worth please feel free to send me a Jpeg. I would love to see it. 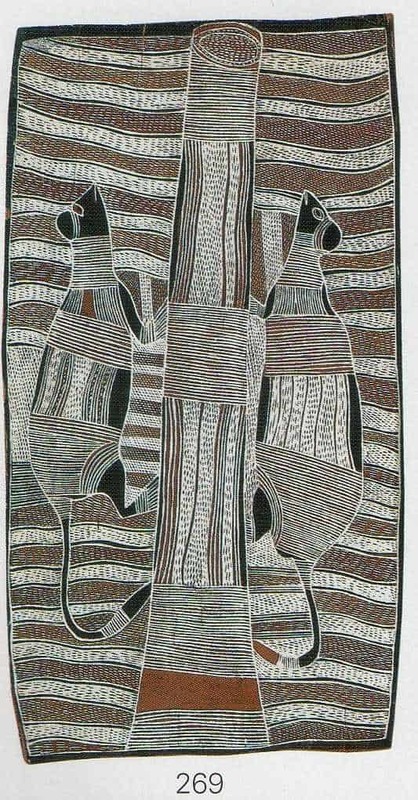 Narritjin Maymurru often separated his bark paintings into schematic panels. Vertical and horizontal features separate these Schematic panels. He painted backgrounds completely in rarrk crosshatching and in traditional motifs. These motifs include diamonds, rows of dashes, anvil shapes and an X pattern. He often depicts possums. Possums relate to the Marrngu ancestral story. Marrngu was a creator ancestor of his Manggalili People. Maymurru has also done a few East Arnhem Land sculptures but they are not as collectible as his bark painting.